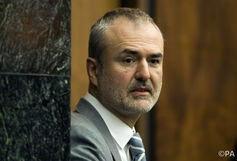 The Florida jury’s verdict went against Gawker to the tune of US$140m (£107m), including a US$10m penalty against Denton himself – enough to bankrupt both him and his company, which was recently sold to Univision. A legal appeal is promised, but regardless of its outcome, it will come too late to save the site. The idea of wealthy people being able to squash publications they detest should give comfort to no one who cares about free speech. There’s nothing stopping what happened to Gawker.com from happening to any other publication that can’t match the resources of a vengeful billionaire. Gawker not only survived but indeed thrived for well over a decade. Gawker Media spawned more than half a dozen spin-offs, employed more than 300 people in the United States and Hungary, and in 2014 reported profits of US$6.7m on US$45m in net revenue. It was big, then – but not big enough. During a recent academic conference, I was on a panel titled Too Big to Fail, Too Little to Survive? The premise was that “big-name” journalists accused of breaching ethical norms, such as network TV anchorman Brian Williams in the US or national newspaper editor Rebekah Brooks in the UK, do not suffer the same career-ending consequences as smaller news fry. The lesson applies equally to their employers. The most recent earnings report for the broadcast television arm of Comcast Corp, for whom Williams continues to work as an MSNBC anchor, shows revenue of US$2.1 billion in the second quarter of 2016 alone, up 17.3% from the previous year. As for News Corp, we all know that story. The massive phone hacking scandal may have done considerable damage to press autonomy in Britain, but relatively little to Rupert Murdoch and his many minions – including Brooks, promoted a year ago to CEO of News UK. News Corp reported revenues of US$2.2 billion in the second quarter of 2016, up 5% year on year. My back-of-the-envelope calculation indicates those earnings are around 325 times greater than the reported annual profit of Gawker Media. And although they are figures for just a single quarter, they also are, not incidentally, in the same ballpark as Thiel’s total net worth, estimated at roughly US$2.7 billion.